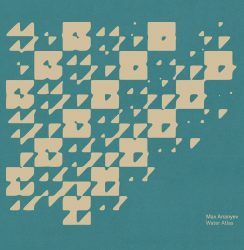 Max Ananyev charts mysterious waters * Danny Clay helps you fall asleep with his release on Slaapwel Records. Read post"Max Ananyev * Danny Clay"
The Slaapwel label, specialised in music to fall asleep to, is becoming more collectible with every release. 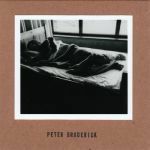 The previous (six) releases were all very beautiful (package ánd music-wise) and perfectly fitted the purpose they were created for: dozing away quietly, listening to music that is ‘interesting and boring at the same time’. Among the previous performers were Peter Broderick, Greg Haines, Machinefabriek + Soccer Committee and Jasper TX. (check [here] for some Slaapwel-reviews on ambientblog.net). This seventh release in this remarkable series is this one, called “Ruis” by Somni451. Earlier this weekend, the Belgian label Slaapwel (Sleep Well) presented their first labelnight in Leuven, Belgium. To my regret, I was not able to be there – although I’m a big fan of Slaapwel’s sleep inducing catalogue. 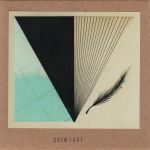 Read post"Peter Broderick – Music for a Sleeping Sculpture…"
Compared to earlier releases on “Slaapwel Records” (Sleep Well Records – the Belgian label dedicated to Music to Fall Asleep To), Komarovo may be the hardest one to fall asleep to, simply because of its dynamic range. For this 30 minute piece, Greg Haines used sound recordings from a Berlin performance, including piano, tape recorders and the impressive sound of the Grünewaldkirche church organ. Read post"Greg Haines – Komarovo"